Dreaming of beautiful Clearwater days. This bold arrangement delivers the tropical Florida feeling for special occasions. 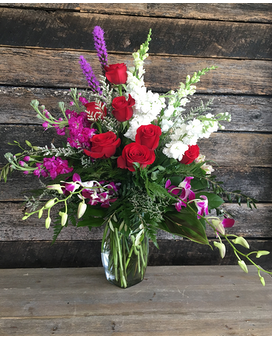 Orchids and roses complement each other as stock brings extra fragrance and flair.